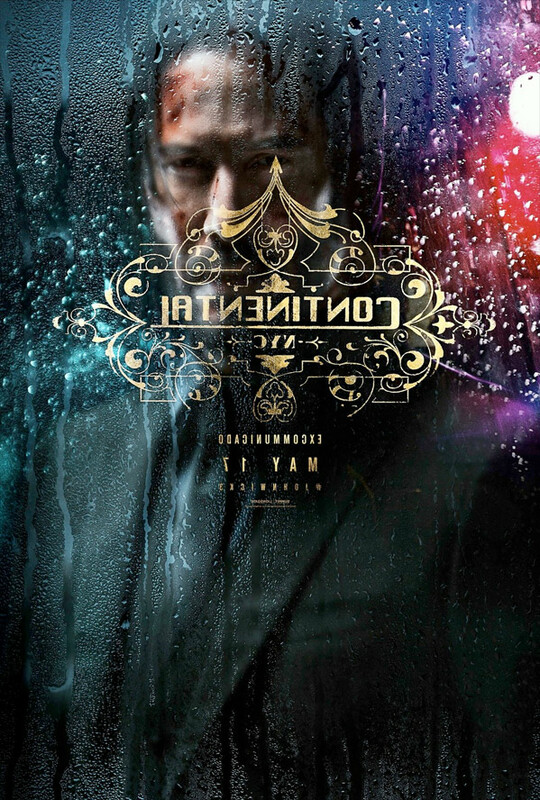 "And away we go…" Lionsgate/Summit has debuted the first official trailer for John Wick: Chapter 3 - Parabellum, the highly anticipated next sequel in the action franchise starring Keanu Reeves as super-assassin John Wick. As expected, this looks crazy awesome and it's filled with even more energetic, jaw-dropping action scenes - many of which take places on the streets (and inside of Grand Central) of New York City. In addition to Reeves, the main cast includes Halle Berry, Jason Mantzoukas, Ian McShane, Anjelica Huston, Laurence Fishburne, Robin Lord Taylor, Asia Kate Dillon, Randall Duk Kim, and Lance Reddick. This might be better than Chapter 2, seems like it has a bit more edge. Bring on Wick. In this installment of the adrenaline-fueled action franchise, super-assassin John Wick (Keanu Reeves) returns with a $14 million price tag on his head and an army of bounty-hunting killers on his trail. After killing a member of the shadowy international assassin's guild, the High Table, Wick is excommunicado, but the world's most ruthless hit men and women await his every turn. John Wick: Chapter 3 - Parabellum is directed by American stuntman-turned-filmmaker Chad Stahelski, director of both John Wick and John Wick: Chapter 2 previously. The screenplay is written by Derek Kolstad. Lionsgate will release John Wick: Chapter 3 - Parabellum in theaters everywhere starting on May 17th, 2019 this summer. First impression?